Catch the most stylish, practical and customisable Laser Pointer in town! Click here for the detailed product features, packaging options and accompanying accessories! Sleek, Chic and modern, a celebration of design and colours. Forgo dull-looking ancient silver for a contemporary look. Match lanyards. Add a picture. Put a heartwarming message. The only item amongst its peers to allow for complete individuality. Small in size but packed with power. Get the edge in presentations and tricky light needing situations. Experience goodness when versatility meets economy. Enjoy the benefits of a popularly-priced product. 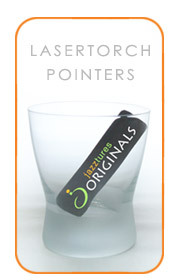 For quotations and more information, contact your Jazztures Sales Representative now!